Canada is known for loving their strong bier and the sport of hockey. Lately, I have been loving the electronically hip music that they have been sending south of the border through the airwaves. 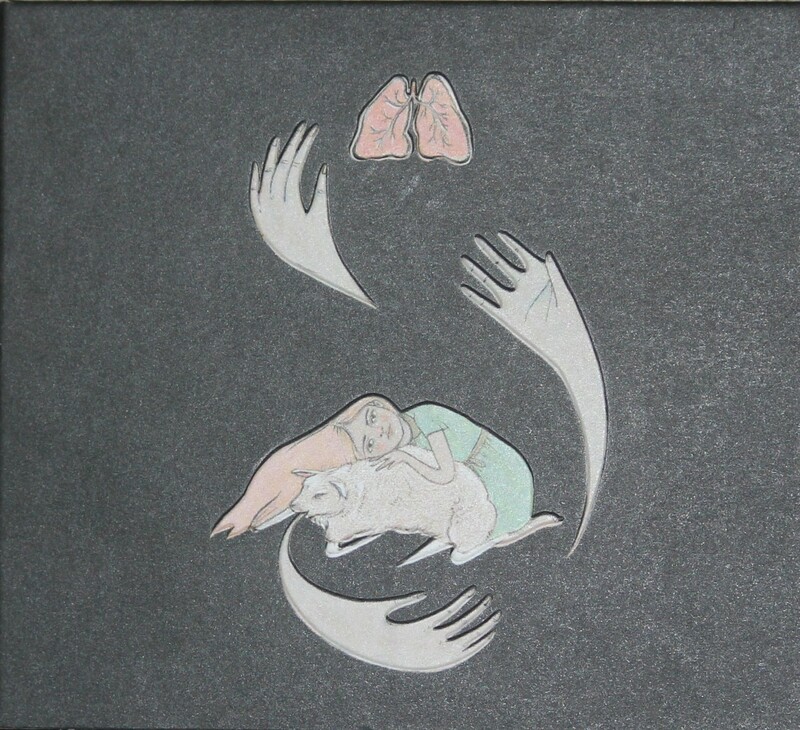 Purity Ring is one of these bands that has been making my ears go fully erect. They are out of Montreal and have been slowly seducing their fans by releasing a single here and there over the past few years. 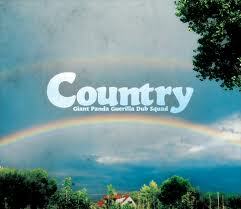 Wow, from the start of the new album Country by Giant Panda Guerilla Dub Squad I am amazed and I am astonished. I first heard of this band while attending a G-Love and the Special Sauce show at First Avenue in Minneapolis. Their live show was an unreal jam session filled with plenty of energy that got the crowd dancing. Country may get your foot tapping a bit while you are sipping a whiskey down at your local saloon. Country is an album with an acoustic, slowed down blue grass sound with folk and reggae roots. They describe their music as folk and that the fans should know that there is just good music and there is just bad music. The band said they hear so many people when asked, “what kind of music they like?” reply with the answer, “everything but country.” GPGDS wanted to break the mold that all country music is not typical country and that folk is in all forms of music. It is funny because I am one who has said, “I am into everything but country.” I am also on the record saying that, “I like Johnny Cash but do not consider him to be country but more of a folk artist.” This means I understand fully what Giant Panda Guerilla Dub Squad is talking about. Now, saying all that I can appreciate this album even though at times I am not sure that I am listening to GPGDS. At other times I am reminded of the elements that made me fall in love with this band. In the track “Kids in the Square” they pick up the tempo a bit and make for a blue grass jam that could get you dancing. Next, the song “Healing” which has a reggae feel in a blue grass song reminds you of GPGDS of past. “New Speedway Boogie” has the softest sound with the loudest vocals on the album and again reminds you of classic Giant Panda Guerilla Dub Squad. This little section of their new album is my favorite especially after the slow start with the first four songs. I suggest you head over to the website and give the new album a listen before forming an opinion. It will help you decide if you want to support this new project for the group from Rochester, NY or if you want to take a break so the music is more refreshing when the next album comes out. I know I am going to support GPGDS and can appreciate the new sound off of Country. Oh good lord, it appears as though two of the most revered emcees at this time will be at First Avenue on August 1st. Might Mos Def and Jay Electronica will surely be tearing up the Main Stage that Saturday night, and I can honestly tell you that I’m going to do everything in my power to be there. Culture Bully also mentioned that these two will be doing a whole album entitled Sympatico together in the near future. I think if these two put out an album it might change the way that people look at the game. There will be more tour dates to come as well. Why, oh why, am I being asked to choose between the Japanese post-rockers in Mono and industrial music’s pioneers in KMFDM? Sure, the bands obviously share more differences than similarities, but I can’t be the only one who jumped for joy a little bit the moment that I saw the announcement of each of these shows, can I? .. that is, until I realized that they are both scheduled on the same night across town from each other, that is. Sometimes this city does that to you though (just like I was forced to decide between the Acid Mother’s Temple show at the Entry and the FMTM/Torche/Dredg show at Varsity earlier in the year), and I guess I should just be glad that area booking agents are at least giving me 4 solid months to debate the positives and negatives of attending either gig. Right now, I’m leaning towards attending the KMFDM gig purely because I’ve never had the chance to see these legends at work. While industrial music’s definitely not my forte, I’ve got a special place in my heart for the noise rock and underground electronic scenes in New York, Germany, and other niches throughout the world which birthed KMFDM and their contemporaries during the early 1980s. The abrasive electronic sounds that were spearheaded by KFMDM and a few others have seemed to eventually seep into the DNA of pretty much every band I enjoy, and though I don’t know much of their output, I’m pretty sure I’d still be fascinated to see a band that has indirectly had so much influence on my musical taste. Really though, I just want to see THE band who former La Crosse, WI vagabond Pete Missing continuously mentioned when we’d stop by his art gallery some years ago.. However, post-rock shows are my favorite kind of concerts to attend, and (with very few exceptions) nobody executes better than Mono. Seeing these dedicated musicians playing their soul-stirring psychedelic epics live at top volume is typically a can’t miss event for me, and this time they’ll be playing with Maserati. Considering that they also only visit the U.S. every few years, that I’ll have many more friends in the crowd with me here, and that Mono’s new album Hymn to the Immortal Wind is one of my favorites from the year, I feel like I’d be especially stupid for for missing this one, as well.